Come See the Baby Chicks! Well, I hope you’ve finished your raised garden bed, because now its time to plant! And, conviently, this planting will require a bit of math, science, and forethought. THE SCIENCE: Plants need a certian amount of space to grow. Their roots need to spread out, their leaves need to catch the sunshine, the fruit needs room to develope. But, if a plant needs six inches of space between it and its next neighbor in a garden row, it also only needs six inches of space all the way around. And since you don’t need to walk in your raised bed you won’t need to leave any rows which must later be hoed! 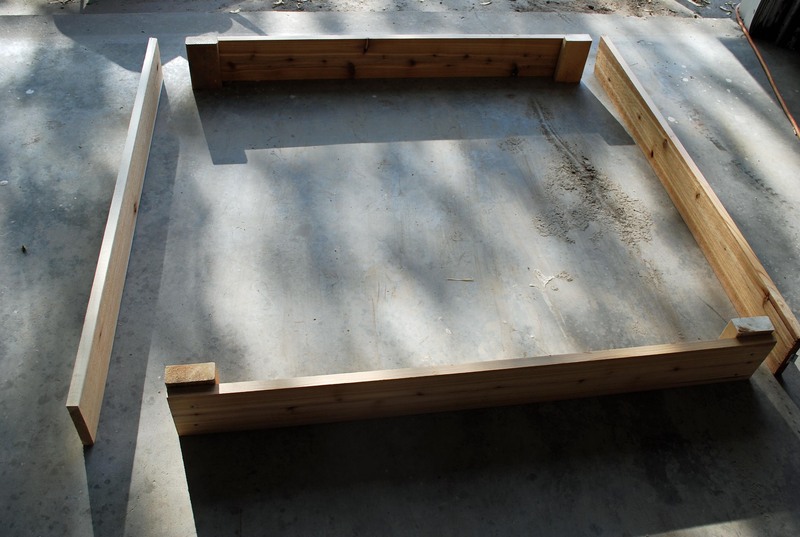 THE MATH: Divide your raised bed into square feet increments. You can do this a lot of ways; I used a small rope. Use something that will be around all season. Then, choose a plant for each square. Find out how much space each plant requires. You can consult the back of the seed packet, the information pick in the seedlings, or search the web. Then do the math! If a plant needs 3 inches in a row it needs 9 square inches in a raised bed. How many square inches are in a foot? How many times will 9 go into that number? That is how many plants will fit into your square foot. Now on to the next plant! Do any plants take up a whole foot? Two? Which plant requires the most space? The least? Now plant, water, and enjoy! Gardening is great for teaching kids about farm life. Did you also know it’s also full of math concepts? Read all about the way I garden in this book: All New Square Foot Gardening. Not only is it an easy, enjoyable way to garden anywhere– even the balcony of an apartment, but it also involves lots of great math! And since it’s about time to get plants in the ground I think we’d better get started! 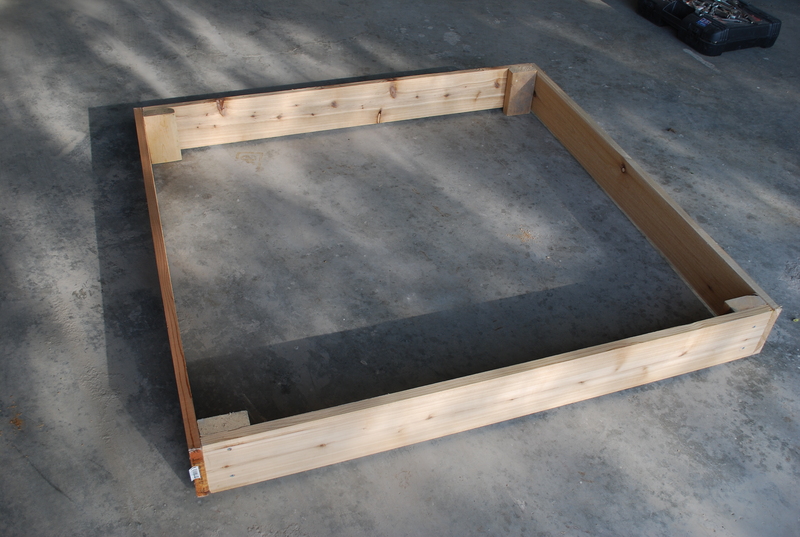 To begin we’ll need to make the raised garden beds which are the biases for a Square Foot Garden (that’s SFG). 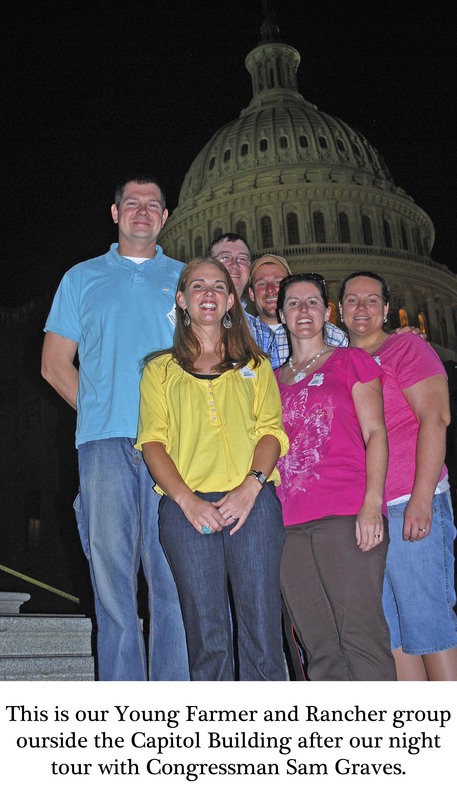 Some of these steps can be done by young children, some by teens, and a few by a grown-up. Before you are ready to hack at boards with a saw, however, you must have a plan! Then, measure! You can have the lumber yard or home improvement store cut your boards for you, but kids will love using a simple tape measure. I used the plans from the book above to make new beds this year, but my original garden beds came from these instructions: Sunset Perfect Raised Beds. The ones shown on Sunset are big, sturdy, and will last a lifetime. The ones I’ll show you are cheaper and easier! 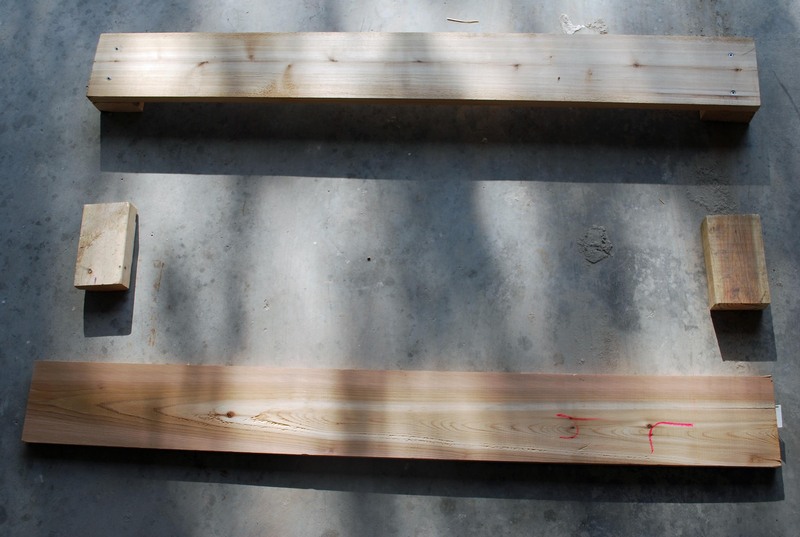 Second, measure, pre-drill holes and use deck screws to add posts to the ends of two boards. Kids can help line up the boards like you see on the bottom of this picture so the finished product looks like the boards on top! Next, line up your two boards with posts with two more boards. Screw the new boards to the posts while kids help you hold it all in place. 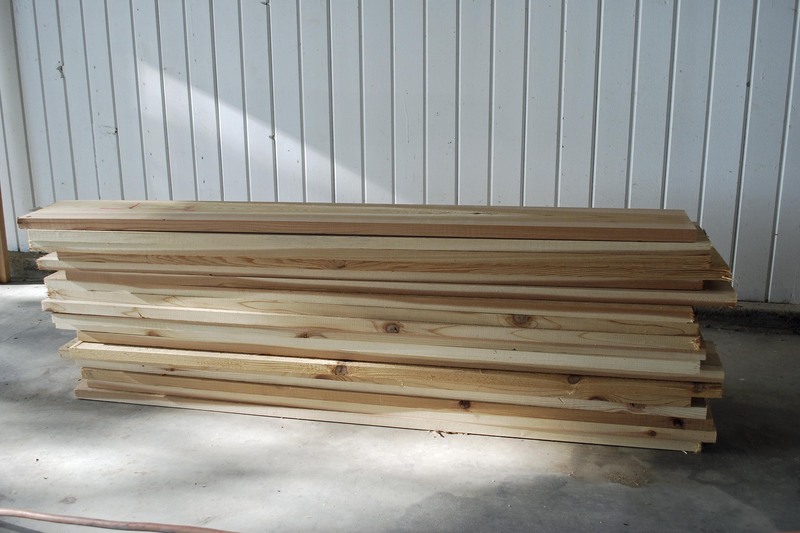 To use this SFG on a deck or apartment balcony add plywood to the bottom. Fill your finished bed with equal parts compost, peat moss, and top soil. Check out next week’s lesson for more math as you plant your garden! Did you know there is more to farming than tractors? More than seed science or mother nature or marketing? Currently one of the most important parts of farming is the government. If this surprises you, let me explain. It is a fact of life that what is good for one person may not be good for another. For example, iTunes was good for music lovers but bad for local music stores. High corn prices are great for corn farmers, but bad for ranchers who feed corn to their cows. Stealing something is good for the thief and bad for the victim. And so we have rules. A farmer’s problem is that the people who make these rules don’t really understand what it is we do. Last year the Environmental Protection Agency (EPA) and our government in DC got the idea to have farmers regulate dust. Yep. Dust. To promote a cleaner environment farmers would have a limit to how much dust they could create. If you’ve never been to a farm before I’ll just tell you. God is the only one who can control dust. But, you say, a cleaner environment is good. Yes. It is. But good for one isn’t good for another. Because if we must control dust, with sprinklers or less farming or whatever, YOU don’t have food. And that is bad for pretty much everyone. So an important part of our family farm is talking with government officials any time we can about they rules they create for our farms. And we are not the only business which must do this. Talk with your family and friends about the jobs they have and the rules they live by. Do they ever call their Congressman? Are there rules that affect you today, even as a young person? Use the internet, phone book, or friends to help you find the contact information for the elected officials who represent you. You may need to learn which district you live in first. Write their e-mail address or phone number on a sticky-note and place it in a family address book to use later, or write a letter now about something that concerns you.